Since we started investing in and managing digital fruit machines over 5 years ago the industry has come a long way. It’s now safe to say that most players (not all) have adapted to the new machine style and enjoy the way the machines play. Unlike your traditional fruit machine, digital machines offer a huge variety of games to pick and choose from. If you’re bored of one just move on to the next. 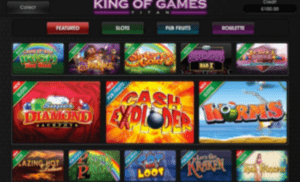 Each digital machine presents games similar to traditional fruit machines but they also include casino style slot games which can be easier to understand and have some exciting features. These slot style games often give you a greater return for your play with percentages running at between 86 and 92% payout. Unlike the compensated analogue fruit machines, digital AWPs house games that are entirely random payout. If the jackpot has just been paid out there is just as much chance it will payout again on your next spin! Enquire about our digital machines here.